What is Smart Electric Lyon? Smart Electric Lyon is a project that looks at electricity consumption as a key part of the building energy solutions of tomorrow. The project aims to develop a wide range of innovative facilities and services through real-life experiments to test energy saving technologies and to measure how consumers can control energy consumption. 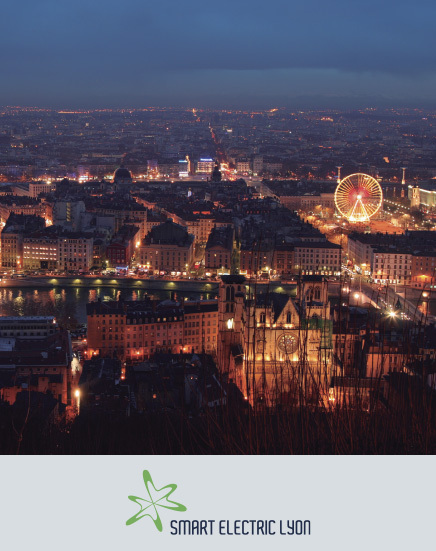 This experiment, unprecedented in scale in Europe, will be conducted for four years in more than 25,000 homes, businesses and communities of Grand Lyon. It is intended to test innovative solutions that will consume less and better. 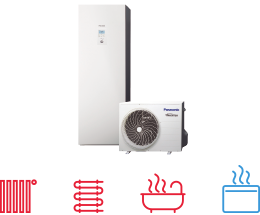 Panasonic will provide the project with a variety of its energy efficient heating and cooling products, including the Aquarea Air Source Heat Pump – a super-efficient system for providing heating and / or cooling facilities, as well as the production of domestic hot water. 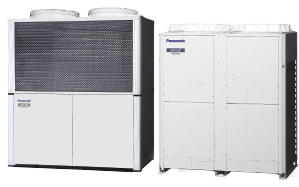 These heat pumps are especially equipped with connectivity solutions from Panasonic to ensure the systems are easy to use, and collect the vital, accurate data. The company will also integrate other home equipment solutions such as LED white lighting products to optimize the overall energy management of the project's properties. This project is particularly apt for Panasonic, as heating and hot water occupy a prominent place in household energy consumption. Panasonic plans to make its European and French resources available for Smart Electric Lyon. The company has involved for the project a dedicated and experienced R&D team from Panasonic's European technical centre in Frankfurt. Panasonic aims to be the No. 1 Green Innovation Company in the Electronics Industry by 2018. We will make the environment central to all our business activities and work to realize our vision with innovations for both every day life and business. 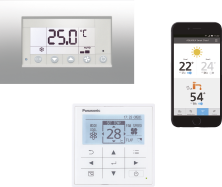 Panasonic has unveiled an innovative and intelligent approach to home energy management, designed to REDUCE pressure on the energy grid by developing systems that only draw power during LOW PEAK times, saving energy costs for the homeowner, and saving unnecessary use of peak time energy for utility companies. Renewable energy systems have developed significantly over recent years, but now the grid has to ‘get smart’ (see grid image below) as society requires more energy, more often. Intelligent electricity networks – Smart Grids – are a key component in the EU energy strategy. In the last few years, Smart Grid projects have been growing in number, size and scope throughout Europe. 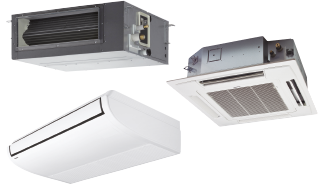 Panasonic is currently developing a system which combines the benefits of air source heat pump technology (harnessing free heat from the air), solar power and the intelligence of smart meters, with the company’s simple yet effective control solutions to work in conjunction with the energy grid for a green revolution. With a wealth of experience in energy storage (battery), solar panels (HIT), smart metering and heat pump technology, Panasonic is ideally placed to bring all these technologies together to provide a very real solution to the problem of sustainable electricity supply. Panasonic is working with the E.ON Energy Research Centre at RWTH Aachen University to test the performance of this new concept. RWTH Aachen has achieved global recognition in several fields of engineering and science, such as mechanical engineering, chemical engineering, electrical engineering, industrial engineering, computer science, physics and chemistry, and is considered as one of the best German university in these fields. If a significant number of households take advantage of this type of technology and install an intelligent solution such as Panasonic’s Smart Heat Pump – taking energy only from the national power supply grid during low peak times, an efficient and intelligent use of energy – more old-style, fossil-fuelled power plants could be decommissioned, improving the planet’s atmosphere and significantly reducing carbon emissions. with Panasonic energy saving concept. 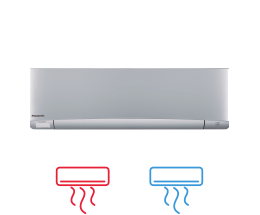 has chosen Panasonic’s Aquarea air for 700 properties in Brest, Brittany.